The online publication provides current stories on the people, issues and companies defining the next generation of digital business in the technology-led cluster known as Tech City, flourishing around the fringe of the City of London through areas like Hackney, Shoreditch and Clerkenwell. "Having City on board will take this publishing venture to the next level. The creativity and appetite for learning at City is remarkable and we expect this partnership to deliver lots of opportunities. Our mission is to search out and recognise the best creativity in the UK tech community, to cover the sector in a progressive way and to tackle the issues that affect business on a daily basis. From integrating City's students into this process, to creating joint initiatives that can help everyone understand and benchmark the future of tech in the UK, we are looking forward to developing great initiatives together." TechCityInsider is currently building up its "TCi 100" strand, which profiles leading industry figures and the newest entrants to the tech sector space by interviewing 100 individuals each year. 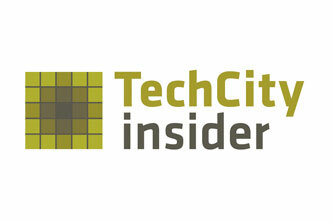 "City looks forward to being an active partner with the TechCityInsider team and its other collaborators. Together we are building up a new narrative featuring the key entrepreneurs and innovators who are re-shaping the landscape around us from the City to Tech City." said Professor John Fothergill, Pro Vice-Chancellor for Research and Enterprise at City University London and lead sponsor of its Tech City programme. "Academic colleagues from our world-leading Department of Journalism, School of Informatics and Sir John Cass Business School are strongly motivated to build partnerships in the Tech City cluster. They recognise that collaborations like this will extend our reach in education, research and enterprise, and ensure that we are trusted and engaged by leaders in our immediate locality alongside our existing partners all around the globe." Please visit here for more information about City University London and its digital engagement. Information about the TechCityInsider 100 can be found here.